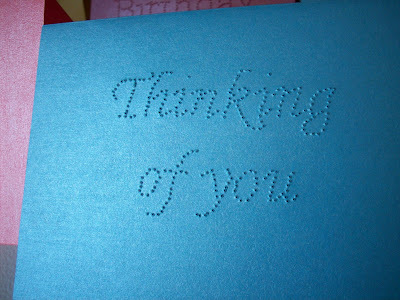 I'm the type of person who must give the recipient the perfect greeting card. By perfect I mean I'll spend 45 minutes reading every card and trying to pick out the one with the right kind of humor, the right sentiments, the right conveying of emotion. For me the card is the most exhausting part of the present-giving process. 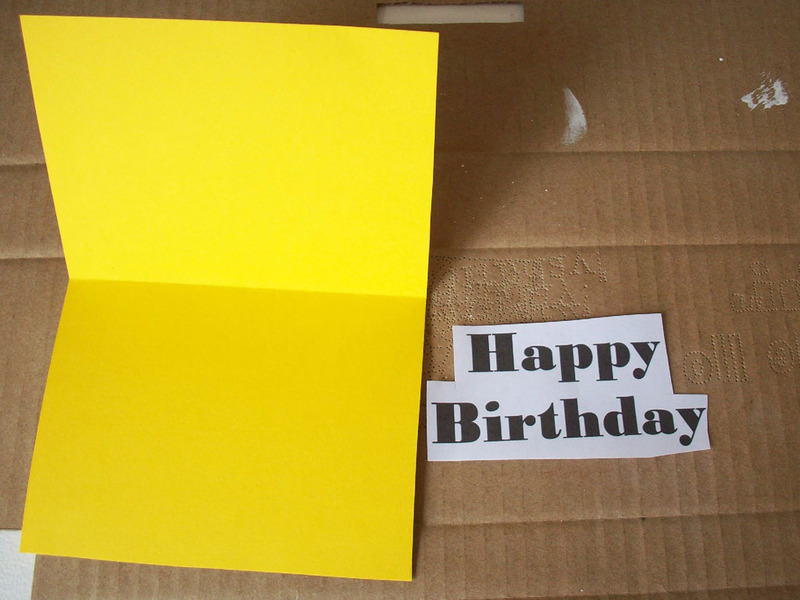 Last week I was home packing up some birthday gifts to ship around the world and realized I didn't have cards for them. Feeling a bit tired, I balked at the idea of heading to Target to search for the most fantastic cards I could find...so, instead I decided to make my own. 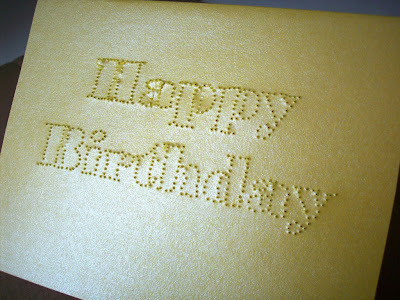 I wanted something more elegant than simply writing "Happy Birthday" in sharpie marker so I decided to try the pinprick technique. What resulted was a card that surpassed my envision and became something I was proud to ship off. 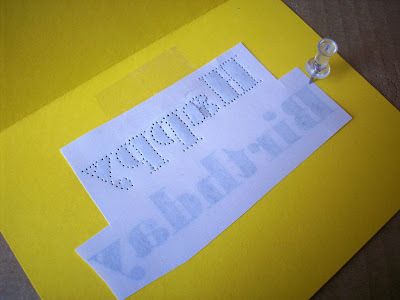 I had some shimmery cardstock in the closet (I can't even remember buying this!) so I traced a card I had and cut out the cardstock. Then, I went into my word document program and typed my greeting...and then spent some time finding the perfect font. 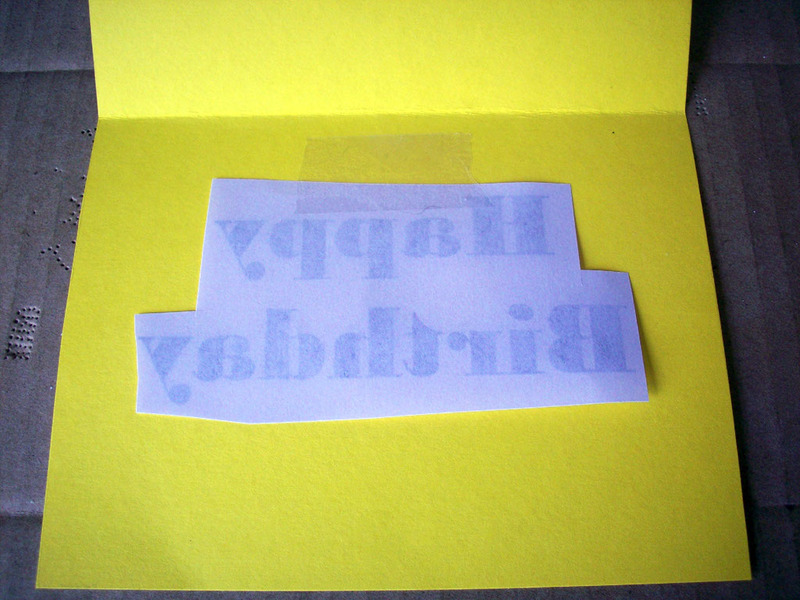 After printing it and cutting it out, I taped it backwards into the inside of the card. Now comes the fun part. Get a piece of cardboard, lay your card down, and start pricking holes with a pin. Once you're done, take the stencil off and admire your piece of art. I experimented with using skinny and bold fonts. With the bolder fonts, I tried filling in the whole word with pricks (looked a little messy and I placed my pricks too close together) and outlining (works best with larger size fonts). Have fun with this and get creative! Use bolder fonts and outline the letters, pinprick a bunch of curly cues, or outline two birds on a branch. What a great idea! I can't wait to give this a try - I'm always sending cards! I'm your newest follower :) Found you through Craft-O-Maniac! What an awesome, simple, yet personal idea. I love cards. My mom is always making incredible "scrapbooking" type cards. And while I love the cards, I just dont' have that kind of creativity, so I really like this idea. I love that pearly paper. Very elegant but fun for us sensory types. It almost makes me wish I had another birthday coming up. Wow this is such a great idea and very creative!! Very cute. Thanks for joining my newbie party. Please add my link or button to the post so that others know about it too. Thanks so much. wow I really like this idea! Following you back, thanks for visiting! I never would have thought of this! I swear, I am SO uncreative. I need to see things, copy them, in order to "create" anything. 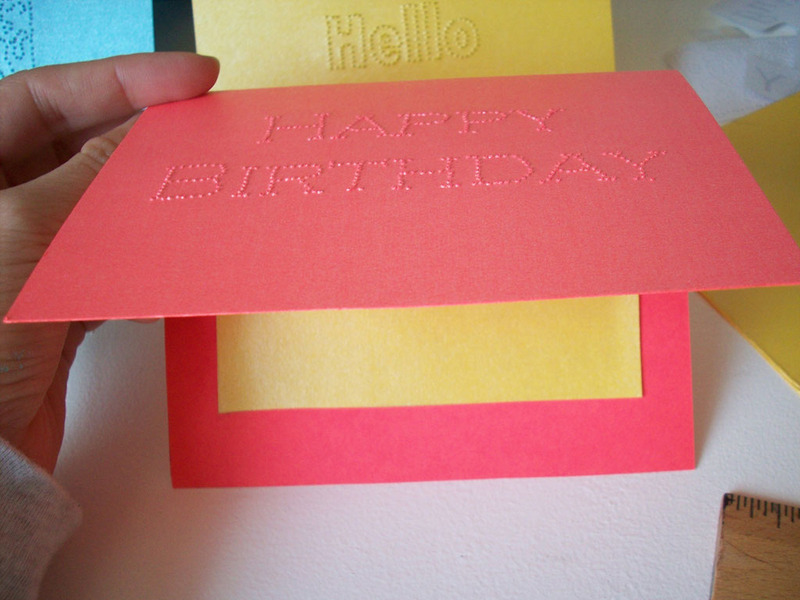 I will definitely use this technique the next time I need to make a card. My kids will love this idea, too! Thanks for sharing! I love these! Such a great idea and such a clean classic look! 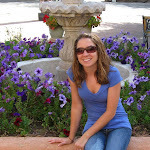 I am your newest GFC follower and would love if you dropped by my blog at WV Stitcher when you get a chance. Have a great week. what a fabulous idea! LOVE LOVE the cards! Clever! Love how it turned out! 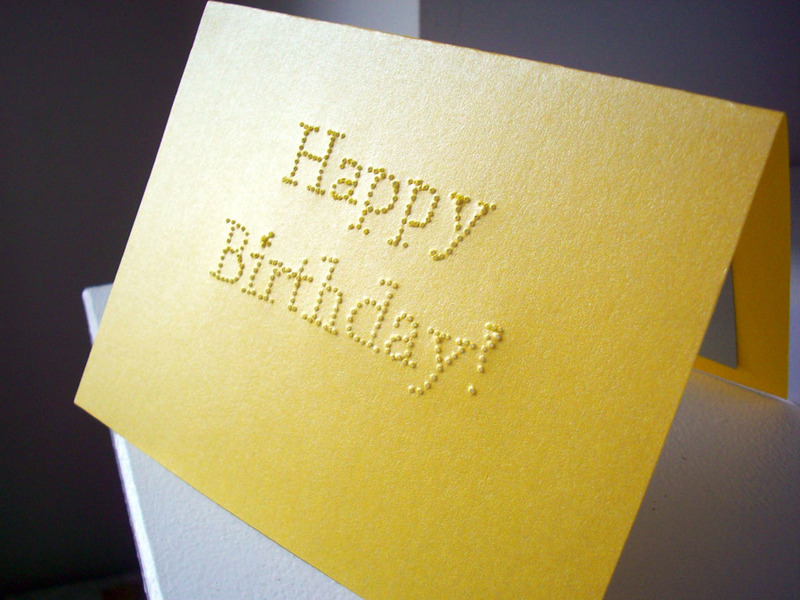 I love greeting cards, too, and have an unhealthy love for paper. 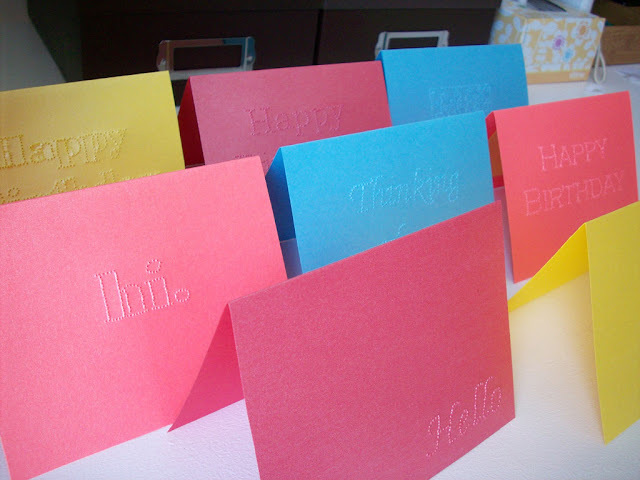 Your cards are awesome - I love the idea of using different fonts and am looking forward to giving them a try. Thanks for sharing! I came by to visit from the hop. I am now your latest follower! This is so creative and it turned out gorgeous! Thanks for sharing, I hope you stop by the party again! what a fun idea! These turned out GREAT what a totally fun idea. I'm featuring them today on Topsy Turvy Tuesday's! Thanks for linking up! Great idea! So, simple and clever. Thanks for sharing! Beautiful cards. I love this technique! I am a new follower too! change the title or remove it entirely, contact me at erinkraft@googlemail. Hey! I hope you don't mind but I decided to post your web site: http://www.blogger.com/comment.g?blogID=841407931291646938&postID=6254027734284370537 to my online directory. I used, "Blogger: Turning a House into a Home creating beauty on a budget" as your site title. I hope this is okay with you. In the event that you'd like me to change the title or remove it entirely, email me at cherie. roxannelorenz@live.de. I take pleasure in writing! I have loaded your site in Three different web browsers and I must say this website loads a lot quicker then most. Would you mind e-mailing me the name of your web hosting company? optimisation or for your readers? This is one thing I've been struggling with due to the fact I want great search rankings but at the same time I want the best quality for my website visitors. hosting provider at a honest price? Thanks a lot, I appreciate it! use, "Blogger: Turning a House into a Home creating beauty on a budget" as your anchor text. Howdy are using Wordpress for your blog platform? I'm new to the blog world but I'm trying to get started and create my own. that automatically tweet my newest twitter updates. I've been looking for a plug-in like this for quite some time and was hoping maybe you would have some experience with something like this. Please let me know if you run into anything. I truly enjoy reading your blog and I look forward to your new updates. and have been thinking about using the Hubpages platform. Do you consider this is a good platform to start with? questions through e-mail so I can learn a bit more before getting started. However think of if you added some great graphics or videos to give your posts more, "pop"! Your content is excellent but with images and videos, this site could undeniably be one of the best in its niche. My partner and I absolutely love your blog and find almost all of your post's to be exactly what I'm looking for. I wouldn't mind composing a post or elaborating on a lot of the subjects you write concerning here. Again, awesome site! blog posts for other blog site owners to help gain publicity to our work, as well as provide superb content to blog owners. It's a win win situation! If you happen to be interested feel free to e-mail me at: bertworrell@live.com so we can discuss further. Thanks alot :)! Turning a House into a Home creating beauty on a budget. some book-marking for a few of my websites but wasn't certain if it would yield any positive results. Thank you. Gday. I noticed your blog title, "Blogger: Turning a House into a Home creating beauty on a budget"
for your readers? This is one thing I've been battling with due to the fact I want good rankings but at the same time I want the best quality for my visitors. Hi! I hope you do not mind but I decided to publish your website: http://www. blogger.com/comment.g?blogID=841407931291646938&postID=6254027734284370537 to my online directory website. I used, "Blogger: Turning a House into a Home creating beauty on a budget" as your site title. I hope this is acceptable with you. However, if you'd like me to change the title or remove it entirely, email me at corinne.chatman@animail.net. Appreciate it. i was just wondering if you get a lot of spam remarks? not sure why but I think its a linking issue. I've tried it in two different web browsers and both show the same outcome. template or plugin that might be able to fix this problem. that your current Web link: http://www.blogger.com/comment. g?blogID=841407931291646938&postID=6254027734284370537 is being flagged as a potentially harmful site in my internet browser firefox. few of the pictures aren't loading properly. I'm not sure why but I think its a linking issue. What's up to every , as I am in fact keen of reading this webpage's post to be updated regularly. Howdy exceptional blog! Does running a blog like this take a lot of work? I've very little expertise in coding however I had been hoping to start my own blog in the near future. Anyway, if you have any recommendations or tips for new blog owners please share. I know this is off topic however I simply wanted to ask. Many thanks! greatly benefit from each other. If you're interested feel free to send me an email. I look forward to hearing from you! Wonderful blog by the way! Hey there! I could have sworn I've been to this site before but after checking through some of the post I realized it's new to me. or plugin that might be able to correct this problem. Like D said, I too have an unhealthy love for paper, and I also happen to really like card making. I do the scrapbook style cards mostly, but when I want to send a simple greeting card to just say hello, it can be hard to create such an elaborate card, which in turn doesn't yield much space for writing. This idea here is so crafty, easy to do, and elegant at the same time! 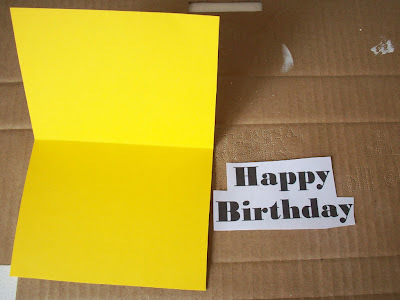 I send a lot of mail to the Utah State Prison, to some friends who got into some trouble, and I am not allowed to send cards with multiple 'layers', AKA stuff that's glued to each other (like most of the cards I make), yet sometimes, I can't find a card that is one layer and has the greeting I want. Now I can MAKE it with this wonderful idea! Thank you for the awesome post! I'm Kristen and I'm creating a home for little family. I enjoy upcycling and using budget-friendly ways to decorate so join me as I make a welcoming and beautiful home. I greatly appreciate all comments and love gathering followers. It's a Bird, it's a plane, it's a....Branch? It's Not Easy Being Green...Or is It?